Originally published in Creation 14, no 4 (September 1992): 21. Pepsi-Cola bungled its first attempt to launch its soft drink in Israel in May when its evolution-based ads sparked hostile reactions from creationist rabbis. Pepsi advertised on billboards and in newspapers throughout Israel with pictures of the alleged evolution from monkeys up to an Israeli businessman holding a can of Pepsi. But the solidly creationist Religious Council of Jerusalem black-banned the product. At first Pepsi considered defying the ban. Then it realized the threat from Orthodox Jews would have seen sales of Coca-Cola (Pepsi’s rival) increase at Pepsi’s expense. So the ads were all scrapped. Weekend Australian, May 16–17, 1992. Diggings, June, 1992 (p. 12). The high number of Australian university students who admitted in a poll that they accept the Bible’s account of creation as literally true has unsettled the poll-takers. 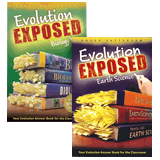 Up to one in every five first-year biology students said they believed the Genesis account of creation and rejected the theory of evolution. President of the biology institute, anti-creationist Professor Roger Kitching, said he was opposed to the book of Genesis’s ‘primitive mythology about life on earth’. ‘We can’t have science with mysticism built into it’, he said. 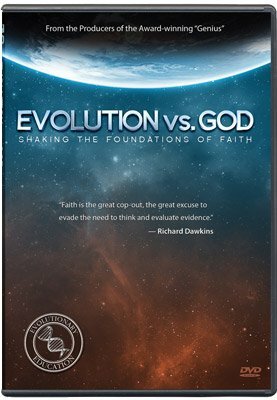 Of concern to Christians were the 43 per cent of students who said they believed life had arisen through evolution and that God had taken no part. The Sydney Morning Herald, June 13, 1992. The West Australian, June 23, 1992, p. 4. A Gallup Poll in the United States last November found that 47 per cent of those surveyed believed God had created humans in their present form within the past 10,000 years. The idea that the earth is flat is a modern concoction that reached its peak only after Darwinists tried to discredit the Bible, an American history professor says. Russell says there is nothing in the documents from the time of Columbus or in early accounts of his life that suggests any debate about the roundness of the earth. He believes a major source of the myth came from the creator of the Rip Van Winkle story—Washington Irving—who wrote a fictitious account of Columbus’s defending a round earth against misinformed clerics and university professors. But Russell says the flat-earth mythology flourished most between 1870 and 1920, and had to do with the ideological setting created by struggles over evolution. He says the flat-earth myth was an ideal way to dismiss the ideas of a religious past in the name of modern science. The Bible of course teaches the correct shape of the earth. Isaiah 40:22 says God sits above ‘the circle of the earth’ (the Hebrew word for ‘circle’ can also mean a ‘sphere’). Also, Luke 17:34–36 depicts Christ’s Second Coming as happening while some are asleep at night and others are working at daytime activities in the field—an indication of a rotating earth with day and night at the same time.